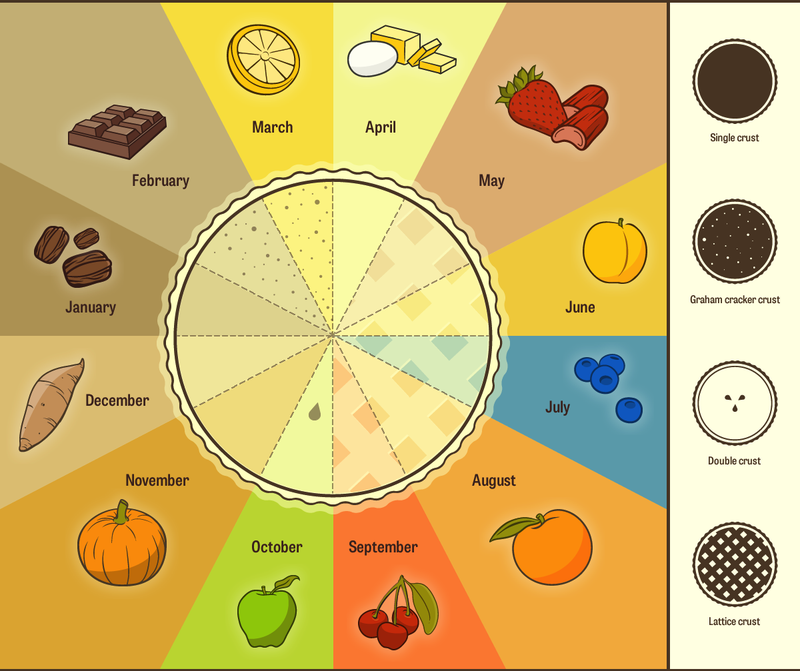 It's been floating around for a few weeks, but Molly Birnbaum of Modern Farmer has compiled an excellent pie chart (illustrated by Omar Lee) that details which seasonal pies you should be preparing and eating each month, as well as the style of crust you should use to maximize the tastiness of said pies. A lot of the top offerings from Foodspin's own dessert pie ranking are included, as is pecan pie, which—as per official Foodspin editorial policy—is an abomination. The whole chart is below. Enjoy!